A Florida State University professor who has worked in psychology and behavioral analysis for 44 years explained Monday how his role as an expert witness helped secure Medicaid coverage for Autism treatments. 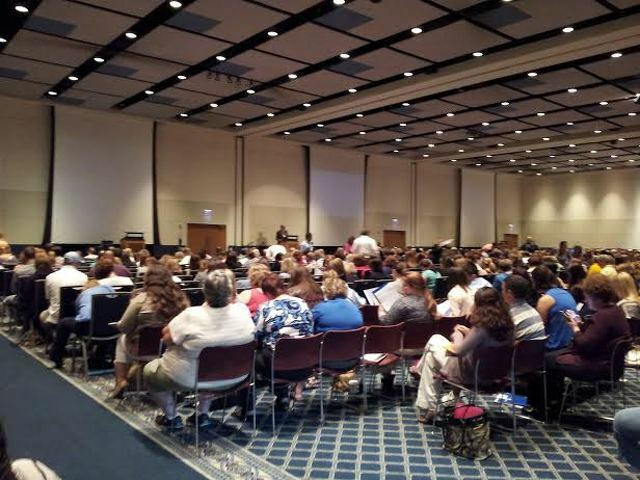 Jon Bailey spoke at the 2014 National Autism Conference held at the Penn Stater Conference Center. There he explained how his testimony debunked a journal article issued to lawmakers and insurance companies. The article, he believes, intended to discredit successful treatment for behaviors related to autism, characterizing it as "experimental," thus opening a window for states and insurance companies to deny coverage. The case, K.G. vs. Elizabeth Dudek, secretary for the state agency for health care administration, went to trial in the Florida Fifth Circuit Court before federal Judge Joan Lenard. Three unidentified patients alleged that the state agency violated the Medicaid Act by denying Medicaid coverage for Applied Behavioral Analysis (ABA) treatment. Bailey testified as an expert witness for the plaintiffs. Specifically, in the KG. vs. Dudek case, Bailey testified about the credibility of a Hayes Directory review study, which he says was based on a narrow pool of studies and attempted to cast doubt on the reported success of the ABA treatment, describing it as experimental, despite the fact it is widely accepted in the medical community. "After reading through this I determined this was an attempt to poison the well," says Bailey. "So I considered the document toxic." Bailey testified in federal court that the report was a "blatant misrepresentation" and had a "disingenuous analysis." He also noted that meta analyses show there are huge positive effects from ABA and those analyses should carry more weight than review of studies, including the Hayes Directory review. Ultimately, the judge agreed and ruled the state's claim that ABA treatment is experimental "was arbitrary, capricious and unreasonable." The judge ordered the State of Florida to fund and authorize ABA treatment for Medicaid patients under 21 with autism. The state appealed that decision, which a federal court upheld in September. The decision, Bailey says, will have national implications. "We won at trial, but really it's ABA that won," says Bailey. The 2014 National Autism Conference began Monday and runs through Thursday. Shirley Majewsky isn’t a baseball player, but when she took the pitcher’s mound at Medlar Field on Sunday night cheers burst from the crowd. 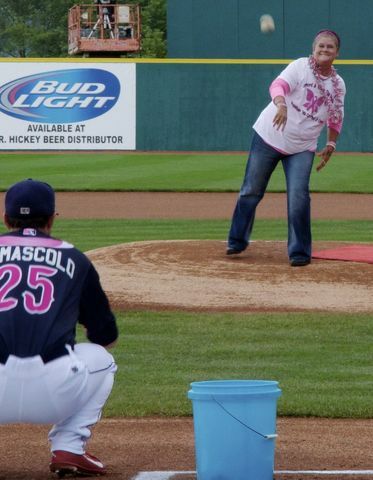 Majewsky, a cancer survivor from Osceola Mills, had been nominated to throw one of the ceremonial first pitches at the State College Spikes’ annual Paint the Park Pink night.